Being “unequally yoked” is not a popular subject! Many today might not even know what it means. Before modern transportation, people used wagons for hauling people, as well as cargo. The wagons were pulled by various types of animals. 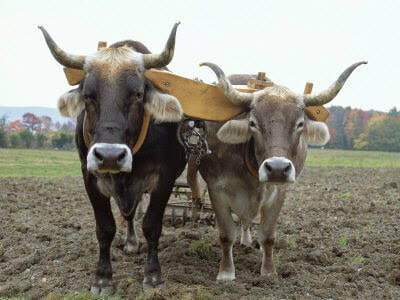 When it came to using oxen or horses, they were often put two-by-two (side by side) and a yoke (long piece of wood with two harnesses), was attached to each animal. It was important to use two of the same kind of animals, similar in speed, strength and stride together. If not, one would drag the other one down or pull the other one into more than it might have been capable of handling. Once one animal was yoked up with the other one, they had to work together, for better or worse. And what communion [common union] has light with darkness? As Christians, we must guard our walk and be aware of danger, to stay on the path.